4. 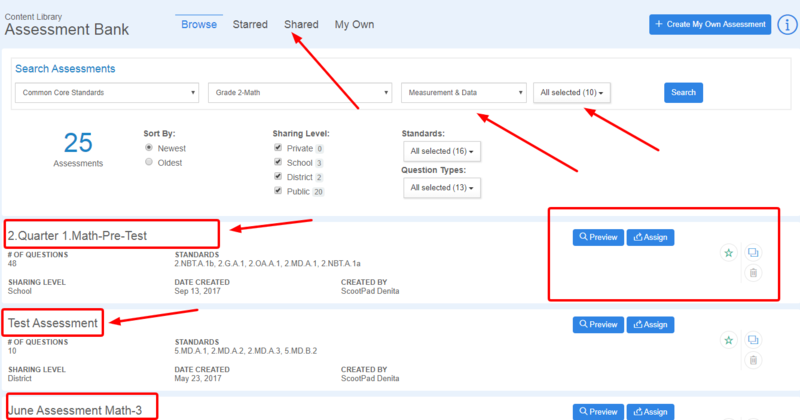 Preview, Assign and Star (Bookmark) Assessments based on the Standards that have been searched. 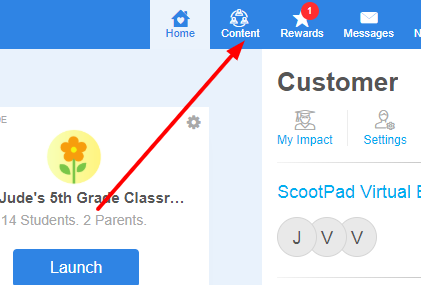 TIP: To make changes to an assessment, use the copy button to make it your own. Choose to share it with others after editing! 7. 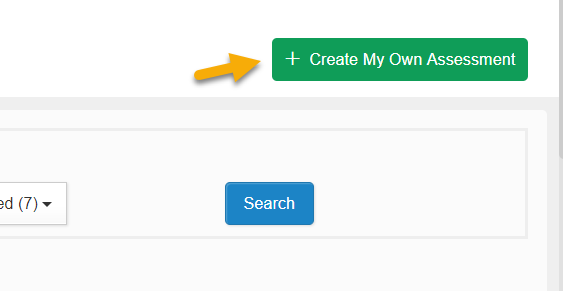 Select Go for Auto Generate or Custom Build, then follow the steps. 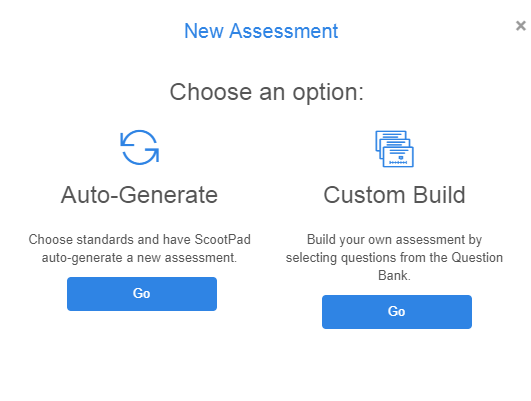 Auto Generate allows you to choose standards and have ScootPad quickly auto-generate a new assessment. 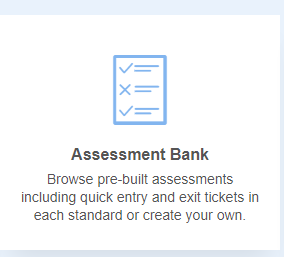 Custom Build allows you to build an assessment by hand picking questions from the Question Bank. 8. 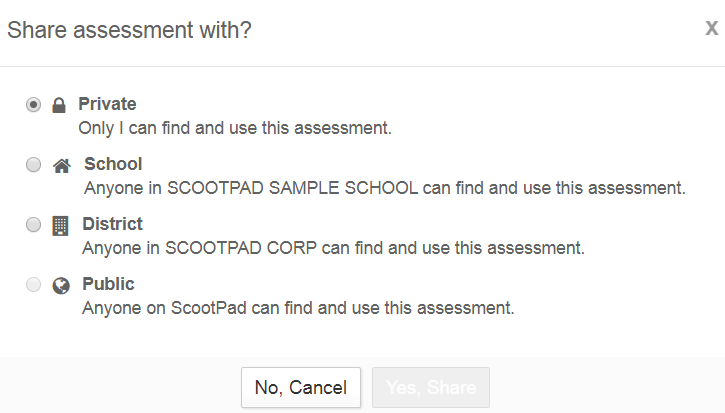 Choose to keep your assessment private, share with only your school or district, or share with the ScootPad community. Once you have made a selection, you are all set!